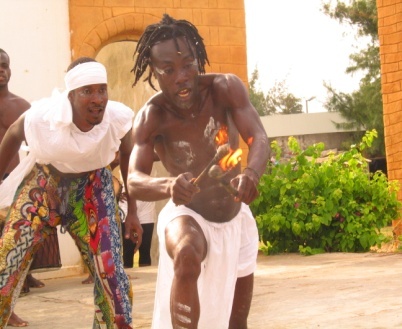 Mailly Jean Pascal is a master dancer, mask performer, acrobat, percussionist & fire eating teacher and performing arts expert. Born and raised in Cote d’ Ivoire, West Africa, Jean grew up in the village of Guimeyo Soubre where he started dancing & performing when he was nine years old. He began his first studies with his uncle Abel Guié & Grandmother Gagnie Elise. During early village celebrations, his Grandmother led the song and dance circles. 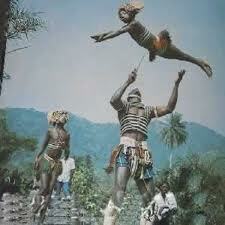 She encouraged Jean to dance and sing with his village elders during ceremonies and celebrations. Throughout his early childhood, he developed a keen awareness and respect for his cultural Diaspora, which led to his life work in traditional West African music & dance. 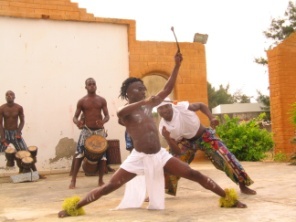 In 1995, Jean left the village to begin his formal studies as a dancer, teacher and musician in Abidjan & Grand Bassm. He enrolled in the dance school Talehi, where his brother Mailly Tagba was director at that time as well as a member of Gboze. He studied for seven years under the instruction of Master Teacher Bally Florentine and Kassa. Upon his completion of this program, he earned his professional dance license from the Ministry of Arts & Culture. In 2000, Jean began offering traditional dance classes and workshops to local and international students who came to study dance and music in Abidjan at the Yammousouk Dance School for Arts and Culture. Currently, in Abidjan, Jean performs regularly at: Club Wafou, Ambrose Night Club, Equinox Dance Center & St. Germaine nightclub. He participates in artist events with the Minister of Culture- FESMI: le Festival des Musiques Ivoriennes & Palais de la Culture d’ Abidjan. In addition, Jean continues to perform traditional Mask dances at marriages, baby naming ceremonies and other festivals and celebrations. 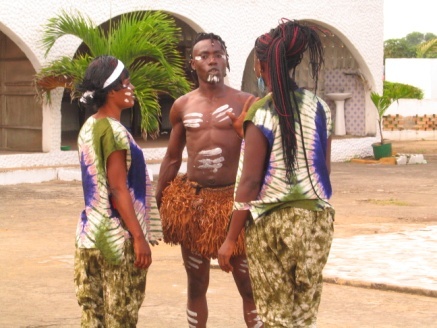 He teaches classes to international groups who travel to Cote d’ Ivoire to study music & dance. His style is highly energetic while simultaneously delivering simplicity, beauty and grace through traditional dance expression. 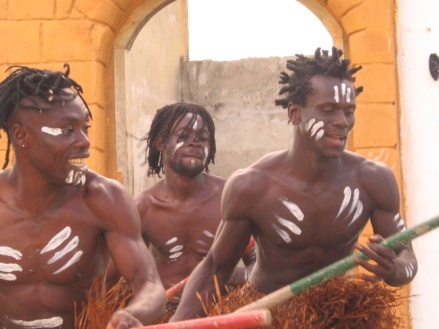 Jean formed his own dance and drum company in 2005: Troupe Bagnon, which offers performances, classes and workshops locally and internationally, and in 2008, he became the Cote d’Ivoire leader of the international drum and dance troupe Gboze, as well. 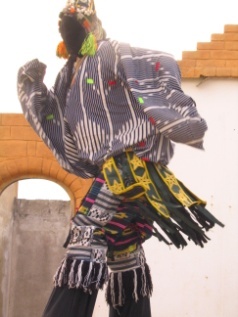 Zouglou: A ritualistic dance performed in the late hours of a full moon night , danced around a blazing fire, to call out and ask the ancestral spirits of the forest to bless unfertile couples, and bless them with child bearing fruition. The energy and wisdom Jean shares and teaches in his dance is a vital part of his life work and mission as it relates to the simplistic, yet highly complex fabric of life woven throughout Africa: yesterday and today. His disciplined studies and work have instilled in Jean a deep appreciation, understanding & respect for these mysterious and ancient dance and music forms. 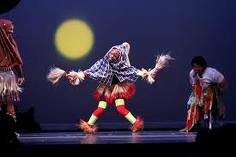 His talent and knowledge comes forth as a sincere gesture of commitment to learning and sharing the knowledge of his ancestral African roots & culture through traditional dance and music. African Music & Dance Heals the Body, Mind and Spirit!